Leaving your lights on at night might not be effective at deterring crime if there is no one around to see it, research shows. You&apos;re about to go to bed. You flip off the light switch. It&apos;s pitch dark. As you stumble your way through the living room, you glance at your neighbor&apos;s house where light is peeking through the windows. You stop in your tracks and wonder: Would a burglar choose to break into your dark house or your neighbor&apos;s brightly lit house? Scouring through online forums will give you two contradictory answers: Leave your lights on, and burglars will think someone is home; turn your lights off, then burglars won&apos;t be able to see what they&apos;re doing. "Then they also say if you keep your lights on you will stick out....Stick out because I can afford the $8 to keep my lights on? Does that mean I have more valuable items....or does it mean I am smarter than my neighbor?" a user asked in a City-Data forum regarding his porch lights. Some studies have shown that less crime occurs along well-lit streets. Motion-detecting lights are also intended to add a layer of security. But having security lights, as it turns out, is only marginally effective unless it comes with specific strategies — and in the end, the most effective home burglary deterrent might just be a good relationship with your neighbors. 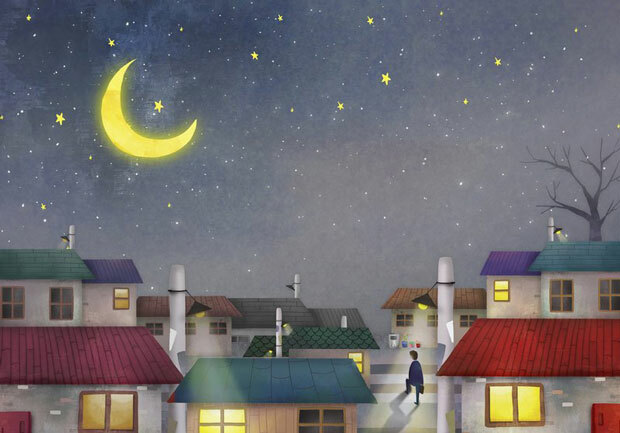 "People who leave their lights on during the day and they&apos;re on 24 hours a day actually attract attention from burglars," says Samantha Nolan, a Citywide Neighborhood Watch trainer for Washington, D.C.&apos;s Metropolitan Police Department. "Because if you&apos;re home, you&apos;re going to turn the lights off and it signals there&apos;s somebody home." Nolan also recommends installing timers with your indoor and outdoor lights so they mimic human activity. For example, outdoor lights should go on at night and turn off in the day, while lights indoors should go on and off in different rooms as if there is someone moving around, she says. If someone is away on vacation, these timers play an even more important role. "Many people do it ... my neighbor across the street had their TV on late at night and I knew that they were away. ... I called them and I said, &apos;I think somebody&apos;s in your house because the TV is blasting!&apos; " Nolan says. "They said &apos;No, we&apos;ve got it on a timer.&apos; "
But all this lighting is useless if there&apos;s no one around to witness or report a crime, says Marcus Felson, a professor at Texas State University and an expert in criminal justice. The lights would only help robbers see their actions, he says. Felson says indoor lights can deter burglars from breaking in, but they often break in anyway after knocking on the door to see if anyone answers. Outdoor security lighting is effective if there are people — neighbors, pedestrians or police — to actually see suspicious activity. "If you&apos;re in a rural area, you&apos;re basically in a secluded area — you&apos;re better off turning off because the lights would help an intruder actually see," Felson says. "Motion detectors are the best, but again the question is guardianship — are there people around who are likely to see or would the offender think he will likely be seen?" A good way to reduce home burglaries, according to Felson, is to introduce yourself to your neighbors so they&apos;ll be familiar with who goes in and out of the house. You can also tell them if you&apos;re out on vacation so they can look out for you, like Nolan did. According to FBI statistics, most residential crime actually occurs in daylight. But most people are not aware of this and turn off their burglar alarm systems in the day, Felson says. This is when your neighbors come into play — particularly retired folkswho stay at home, Felson finds in his studies. During the day, turn off your outdoor lights and leave your alarm system on. Set timers for your lights, TVs and radios to mimic human activity. Turn off your lights if there is no one around to see them. "If your neighbors are retired and you know them, that&apos;s the real good way," Felson says. Drew Schneider, an 11-year resident of Petworth, a neighborhood in Washington, D.C., says his neighborhood council is trying to restart community walks and establish block captains who look out for neighbors. It hasn&apos;t materialized yet, and Nolan says according to her experience, most people only become more interested in crime prevention when there is a spike in crime. Participation falls when the crime rate drops. Schneider says he&apos;s has had all the security gear — motion-detecting lights, webcams, door locks — ever since moving to D.C. from a suburb in Texas. "I turn my [indoor] lights off. I&apos;m not going to waste my electricity," he says. "There is definitely the case for prudence and common sense, but there is not a case for paranoia." Whether it&apos;s a waste of electricity depends on how effective the lights are in deterring crime. The nationwide average cost of electricity is about 10 cents per kWh. Multiply that by the rating of your light bulb and the hours you leave it on, to calculate how much you&apos;re spending on your lights. Or you can use this website by the group Sensible and Efficient Lighting to Enhance the Nighttime Environment. It even estimates your lighting&apos;s carbon footprint.